As a new mother, I observed myself teaching my children the myths I had absorbed as a child. As a fourth and fifth generation Australian of mainly Irish descent, I taught them to look for signs of faeries in the coastal scrub or hollows in the mother trees. When the curlew cried, I asked…was that the banshee wailing? I was also inadvertently passing on Indigenous myths I had picked up along the way from Aboriginal friends at school. ‘Three curlews…someone’s about to die,’ or ‘Don’t go into the swamp, the bully man will get you.’ I became aware that not only had I transmogrified my ancestor’s myths to suit this new ‘bright scraggly landscape’, but I had also taken on some of the local mob’s folk lore. Was this mongrel mythology I had created the right way to teach my children to connect to this country? Was I transgressing boundaries? Were my ancestor’s myths still relevant in this foreign landscape? I became haunted by a question I had subconsciously been asking myself most of my life, a question I feel many Australians wonder about. ‘How should we connect to this country, the only place we have known, when our ancestry is from a country on the opposite side of the world?’ Many of us are, after all, aliens in our own home. On reflection, I think this was what I was doing in the writing of Beneath the Mother Tree – examining my own connection to country through the form of a fictional story, in the hope that I would find an answer to this question. 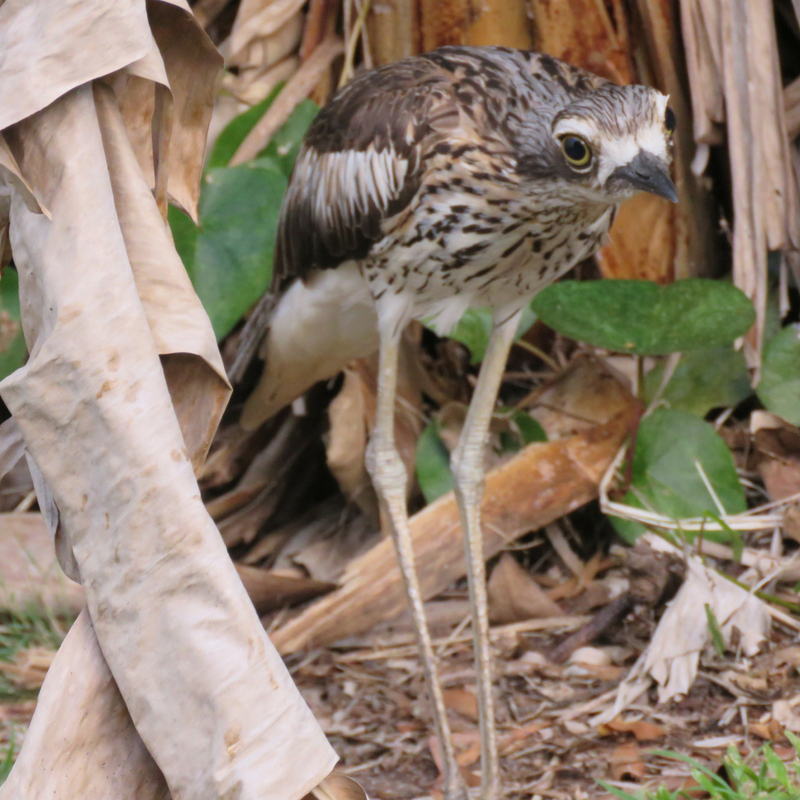 Pictured is a bush-stone curlew that was nesting on the footpath outside my parent’s house the last time I visited. The curlew features heavily in my novel. The cry of this bird at night is blood curdling – like that of a woman in pain.